Born in 1957 in Monroeville, Alabama, Mark Childress not only grew up in Alabama but in Ohio, Indiana, Mississippi, and Louisiana. He is the author of 7 novels: A World Made of Fire, V for Victor, Tender, Crazy in Alabama, Gone for Good, One Mississippi, and Georgia Bottoms. Childress has also written 3 picture books for children: Joshua and Bigtooth, Joshua and the Big Bad Blue Crabs, and Henry Bobbity is Missing and it is All Henry Bobbity’s Fault. He wrote the screenplay of the Columbia Pictures film, Crazy in Alabama, directed by Antonio Banderas and starring Melanie Griffith, an official selection of the Venice and San Sebastian film festivals in 1999. After graduation from the University of Alabama in 1978, Childress was a reporter for The Birmingham News, Features Editor for Southern Living magazine, and Regional Editor of The Atlanta Journal-Constitution. He has been writing fiction full time since 1987. The best-selling author’s latest venture tells the story of Georgia Bottoms, Six Points, Alabama’s finest feature – a beautiful, worldly woman, a splendid cook, and faithful churchgoer who cares for her aged mother and sells handmade quilts to her neighbors while leading a secret and rather fruitful secret life. 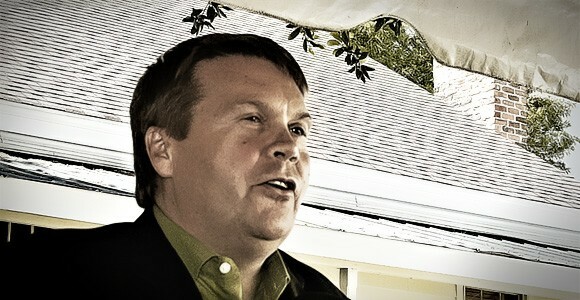 Melissa Parker (Smashing Interviews Magazine): Mark, you recently attended a literary festival in Monroeville, Alabama. Mark Childress: Yes, that was the last event in the 32-event tour. I was happy to be there and happy when it was over (laughs). Melissa Parker (Smashing Interviews Magazine): Was everyone waiting for Harper Lee to appear? Mark Childress: Not really. I was actually at the first one of these conferences and she has never been. She doesn’t go to those things. She doesn’t make public appearances, but is very kind to let us use her name for the award (Distinguished Alabama Writer). Melissa Parker (Smashing Interviews Magazine): I saw you at the Alabama Book Festival in Montgomery. Mark Childress: I had never been there before, but I like the setting. It was a pretty day and being outside was like a tent revival (laughs). I saw Wayne Greenhaw and several of my old friends so that was nice. Melissa Parker (Smashing Interviews Magazine): You were not raised in Monroeville, were you Mark? Mark Childress: No. I was born there and my daddy worked for Purina Company so we moved around a lot. That just happened to be where we were living when I was born. We moved away when I was two years old, but they (the folks in Monroeville) have always claimed me (laughs). That’s really nice of them and I claim them right back! My folks lived in Slapout up until just a few years ago. They retired over on the lake. Daddy died a couple of years ago and mom is in an assisted living facility. Melissa Parker (Smashing Interviews Magazine): I assume Harper Lee was a big influence on your writing. Mark Childress: I think just the very fact of knowing there was a person who was a writer and a local hero surely had an impact on me. Melissa Parker (Smashing Interviews Magazine): I know you attended the University of Alabama. Roll Tide! Melissa Parker (Smashing Interviews Magazine): Did you always know you wanted to enter the literary arena? Mark Childress: Not always. When I was a kid I thought I wanted to be a musician. I played piano … then, oh, I was going to be a composer. You know how kids go through phases. I wanted to be the band director. Then finally in high school a teacher entered one of my stories into a contest and it got an “Honorable Mention.” I thought, “Well, maybe I could do that.” So I decided to try to learn how to do that. Melissa Parker (Smashing Interviews Magazine): What was your first professional job? Mark Childress: In college I worked on the student newspaper, The Crimson White. I was actually hired when I was still in school as an intern at The Birmingham News. I worked there for several years, then Southern Living magazine, and then went to The Atlanta Journal-Constitution. That was sort of my last grownup job. Melissa Parker (Smashing Interviews Magazine): Was your first book rejected? Mark Childress: No, I’ve just never shown it to anybody. I wrote two practice novels before I even really showed one. The first one I actually showed got published. That was A World Made of Fire. 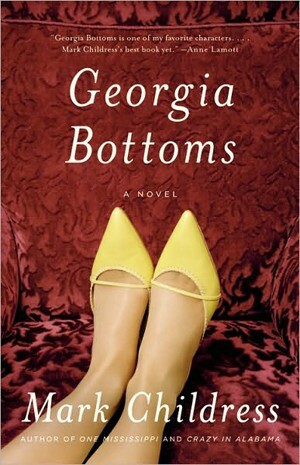 Melissa Parker (Smashing Interviews Magazine): Georgia Bottoms is a fun, great read. Mark Childress: Well thank you. Melissa Parker (Smashing Interviews Magazine): What do you say to those reviewers that call it a light romp? Mark Childress: You know, I guess on one level it is a comedy. There’s also some really very serious stuff going on in her life. I’ve always kind of used comedy as a way to accomplish my aims, whatever they are. It’s like you’re trying to tell a story with sad parts, then somehow comedy makes the sad parts sadder. But, definitely in this book it’s more on the lighter side of the scale. It has provoked a lot of discussion in book clubs and that’s good. It’s nice when people argue about it. Melissa Parker (Smashing Interviews Magazine): Georgia is fairly selfish and self-centered. Were you ever afraid that readers might give up on her, especially because of how she dealt with 9-1-1? Mark Childress: Well, I know many people who felt very confused about what they felt that day. But, to me, her reactions are extremely human. She’s mad at Osama for ruining her luncheons (laughs). But not only that, she uses that moment to try and do something good. She tries to give all that food away over and over again and nobody will take it. So that’s her response. So, no, she’s a person who has sort of no filter about what she thinks and she proclaims about her lack of religiosity and how she’s not one of the members of this town. She’s not like them, but remember she’s not necessarily a reliable narrator at all times. I’m hoping you’re on her side, but she’s an awfully self-justifying person. She has an argument for every objection you might make in anything she does. I think part of the fun of the story is not just that she gives the town its comeuppance, but she gets hers too. She has to radically change her life and face some truths about herself. I’m finding in most cases the readers are pretty much on her side. Melissa Parker (Smashing Interviews Magazine): You do begin to root for her as the story progresses. Mark Childress: She’s not harming anybody and she has never wanted to. Georgia’s just trying to get by and preserve appearances which is very important to her. Melissa Parker (Smashing Interviews Magazine): For her character, did you draw from people you knew? Mark Childress: No, I think she just pretty much came to life as she is, in my head anyway (laughs). I don’t really know anyone quite like her but I just had the idea of a woman sitting in church that everybody thinks is a pillar of the community and in fact is leading this whole secret life. I just thought that was so much fun. Melissa Parker (Smashing Interviews Magazine): Did you make her an atheist to rationalize her behaviors? Mark Childress: I think of her much more as an agnostic than an atheist because she’s talking about the ants and the ant connection. She’s constantly thinking about what Christians would say and what Jesus would do. I was talking to Reverend Butts at the Monroeville thing about it. Georgia is on a spiritual search. At the beginning she’s absolutely sure she knows there is no God and she doesn’t believe any of it. But the whole action of the book is leading her into a different direction. That hard shell that she puts up to protect herself is crumbled away by the end of the story and she is revealed as a different person than even she thought. That’s what I was hoping for, that it feels like she goes on a journey, that she’s not the same at the end as she was in the beginning. Melissa Parker (Smashing Interviews Magazine): At one point before the end of the book I thought perhaps there would be a lesbian tryst between Georgia and Krystal. Did you ever think of heading in that direction? Mark Childress: No because Georgia is just as straight as they come (laughs). She likes men. She loves Krystal but not in that way. That wouldn’t be anywhere near her character. Melissa Parker (Smashing Interviews Magazine): Krystal did love her in that way, though. Mark Childress: I think so. But I think Krystal’s going to come out okay. I felt like she did what she really had to do and that’s really what the book is about. Everybody in it is trying to find out who they are. Nathan wants to know who he is and Little Mama is the only one who is absolutely sure she knows the answers to everything. Of course, she’s wrong about everything so there’s something to be said about somebody who’s absolutely certain that they’re right and are really wrong. And then there’s somebody like Georgia who is questioning and groping and trying to get by the best way she can by self-justifying. She reminds me of me (laughs). She’s just doing the best she can. Her solutions are quite unusual though I have to admit. Melissa Parker (Smashing Interviews Magazine): Little Mama “damned” Rosa Parks one minute and loved The Supremes the next. Mark Childress: Well, she does have dementia so she forgets (laughs). Melissa Parker (Smashing Interviews Magazine): You mentioned Nathan earlier. He is white Georgia’s Afro-American illegitimate son. Were you living in the South during the Civil Rights Movement in the 60s? Mark Childress: Yeah, we moved mostly all over the Midwest, but we always came back to Alabama summers and Christmases so I always felt Alabama was home no matter where we were living because we moved about every two years. I did see all of that through the eyes of an outsider. I was a kind of a little Yankee boy when we came to visit and the whole thing of segregation was extremely puzzling to me. They didn’t have it in Indiana or Ohio where we lived. When we came south it was a whole different set of rules that I didn’t understand. No adults were able to explain it to my satisfaction. My memories of it as a kid were at certain times you just weren’t allowed to go downtown. They kept us sort of away from it. Everybody was more fearful than belligerent or anything. They’d say, “Nope we’re not going to go down there and we’re not going to talk about it.” In Crazy in Alabama, that thing about the pool being cemented in happened twice in two different towns, one where I had an aunt and uncle and one where my grandmother lived. They would black top the pools rather than let the children swim together. That was just mystifying. I just couldn’t imagine it. One was a brand new swimming pool just built two years before. Melissa Parker (Smashing Interviews Magazine): In many households children were subjected to the “N” word also. Mark Childress: We were not. I guess my grandparents put on airs or whatever, but you never said that word. You’d get a whipping if you said the “N” word. I spent my whole writing career (maybe 4 out of the 7 books) … well, they have a large thing to do with race and racial questions. It’s like a fish being in the water. You’ve got to write about the water. Melissa Parker (Smashing Interviews Magazine): Do you think you may write a sequel so we can continue on Georgia’s journey? Mark Childress: I’ve never written a sequel before but I have had many people ask that question. I never say never, but, I never talk about the work I’m doing because it just kind of squeezes the juice out of the lemon if I talk about it too much before I do it. Melissa Parker (Smashing Interviews Magazine): Will Georgia Bottoms come to the big screen? Mark Childress: I don’t know. Many people ask that question too. That’s how it was with Crazy in Alabama. They asked that question al of the time and then someone eventually bought it so we’ll see. I have done enough work in Hollywood to learn that I ignore it all completely until they call and tell me there is a deal. As a matter of fact, they’re under orders. They don’t call me with a “might” or say that they’re talking. I don’t want to know it until there’s an offer. That way I don’t get all worked up over it. Melissa Parker (Smashing Interviews Magazine): Would you have anyone in mind to play Georgia? Mark Childress: They don’t ask the writer that question (laughs). Melissa Parker (Smashing Interviews Magazine): When I was reading about Judge Barnett, Charles Durning came to mind, although he would be a bit too old for the part. 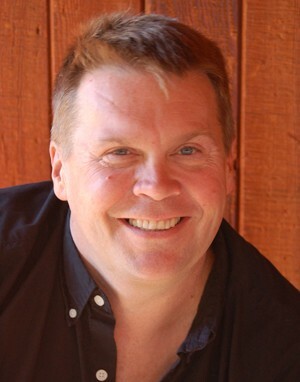 Mark Childress: Yeah, we’d have to find a Charles Durning type who is 20 years younger. The trick of the movie is how to not turn it into some broad comedy. That’s going to be tough because her actions are not all that sympathetic. It’s because you’re seeing them through her eyes and she’s explaining to you her justifications that you sympathize with her. That’s hard to bring off on the big screen. So it’s not quite an obvious a movie as it might seem when you first think about it, but it still would be fun. I don’t really care too much about whether it becomes a movie or not because caring about it makes no difference as to whether it happens. I’ve learned that out there lots of talk goes on before anything actually happens. Melissa Parker (Smashing Interviews Magazine): Who are you reading now, Mark? Mark Childress: At the moment I’m so involved in a new novel by a friend of mine, Alan Hollinghurst. He’s an English writer and just fantastic! The last one, The Line of Beauty, won the Booker Prize. Melissa Parker (Smashing Interviews Magazine): Do you have a favorite place to write? Mark Childress: Right here in my office in my house. I’m lucky that I have a house with an office. I used to have a little apartment in New York and had to write in my bedroom. So now I have an actual office and don’t have to clean up. It stays like it is. Melissa Parker (Smashing Interviews Magazine): You’ve lived in many areas of the country. Mark Childress: I have and right now I’m in Key West. I like to live in difference places. I get energy from changing and from getting to know a place. I guess I’m following in the steps of Tennessee Williams. He lived in many places and I’ve lived in several of the ones he lived in (laughs). But I’ll probably move again. I enjoy that every few years. The view never changes when you’re sitting at the desk so if you can change the view outside it keeps me fresh and life interesting. Melissa Parker (Smashing Interviews Magazine): I need to ask you why Donald Trump and Charlie Sheen (or rather just their faces on placards) traveled with you on the bus during your book tour. Mark Childress: Because my publisher asked if I would blog about my book tour on Facebook and I thought, “How boring is that?” Let’s see, tonight we’re going to a bookstore, then tomorrow we’ll go to a bookstore, and then tomorrow night we’re going to another bookstore (laughs). So I just thought I should bring someone with me and Charlie was pretty much in the news at the time. What was funny was that some people were writing me like, “Is Charlie really with you?” Some people really believed it. I got 1,000 new friends from having Charlie along (laughs). People kept asking me to take his picture here and there. It was just a self-entertainment thing for the author and to keep it fun on the road (laughs). Melissa Parker (Smashing Interviews Magazine): Donald Trump and Justin Bieber probably fought over hairstyles. Mark Childress: Yes, also JLo. They were fighting about hair all of the time. That was an overriding theme when they were on board. Lindsay Lohan got arrested … then she really did get arrested! I was like, “Hey, I predicted it!” Then Charlie Sheen went to Tuscaloosa to help with the tornado victims. It was like art imitating life. Melissa Parker (Smashing Interviews Magazine): Have you seen any of the devastation in Alabama? Mark Childress: No, but it’s amazing on TV and in magazines. I’ve talked to people I know that live there. It’s horrible. I have many friends and family members that live there. Luckily everybody I know is okay, but everybody knows somebody that’s not. It’s tough. It’s amazing how long the tornadoes stayed on the ground. That was scary. Is that our new style of tornado now? Melissa Parker (Smashing Interviews Magazine): I certainly hope not. Mark Childress: I sat there watching James Spann because it was on the Internet. They had him live and it was unbelievable. He was so amazing that night. He should win every award there is. He would say, “Looks to me like that tornado is going in between the Walmart and over there in Pigeon Ridge there’s a little convenience store and it’s probably going right in the middle.” I’m like, “My God, how does he know all of that?” He’s been doing it all those years and he was just amazing. I should do a story about James Spann. That would be a good story about his performance that night. I should go look at his tape because I just thought he was just amazing! He was really kind of a hero to save people’s lives that that. It’s a shame I don’t do journalism anymore (laughs). Melissa Parker (Smashing Interviews Magazine): It would no doubt be an interesting story nonetheless. Mark, I enjoyed the conversation today. Continued success! Mark Childress: Thank you so much and thanks for promoting the book. I really appreciate that!